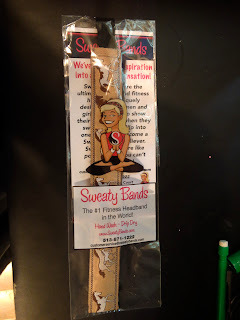 Sweaty Bands Review and Giveaway! How many of you exercise on a regular basis? I do, at least 5 days a week. One thing I am constantly struggling with though, is keeping my hair out of my face while doing so. I like to take a brisk 2 mile walk in the early morning, and it gets HOT! 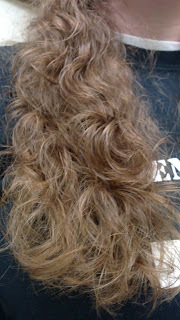 Between pushing my hair and bangs back, and wiping the sweat from my face, I can get very frustrated. Well, not too long ago I discovered a product that solved the problem for me. The first thing that caught my eye with Sweaty Bands, is that they are actually stylish-not just some bland, ugly band to slip on your head during workouts. You can shop by color, print, or theme. 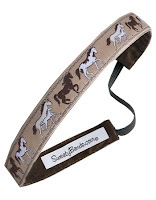 It took a while to browse the selection, but I finally settled on the Buck Wild Headband, which features a lovely horse print. With a light brown background, and horses marching across the band, this print will match just about any outfit, and look great while holding your hair back! The band features a velvet "underside", which really holds it's position well. I tried this out first on one of my morning walks, then during a more aerobic workout, and both times the headband stayed in place. That is truly amazing! The band has a small elastic strip that gives it a nice fit, and will stretch to fit most any head size. It slips right under my ponytail, and isn't noticeable at all-everyone just sees this great looking headband that stays in place! If you can't tell, I'm really hooked on my Sweaty Bands, and it has become an indispensable piece of my workout apparel. Of course, I wear it more than just during exercise too, simply because it keeps my hair out of my face and looks good while doing so! 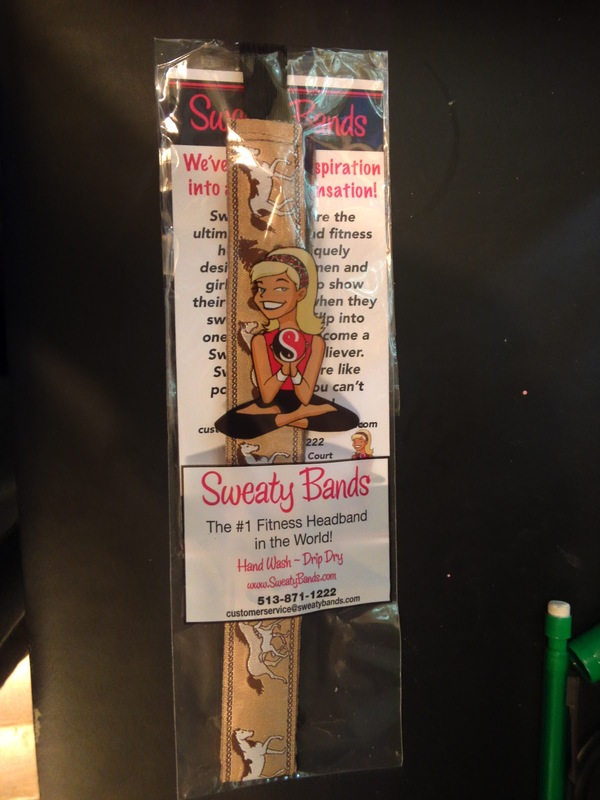 One of my readers will receive this Sweaty Band! Lilla Rose Makes Hairstyling Easy! Do you ever want to change up your hairstyle, or add a little flair but aren't sure how? I'm right there with you! I am kind of picky about my hairstyles (read very picky), so many times I get stuck in a rut. Around the house I usually just have my hair pulled back in a braid or ponytail, but whenever I go out, I like something a little nicer. I don't do buns or full updos often, just because I think my face looks too bare without some hair down. As you can imagine, half-updos get pretty boring pretty quickly. 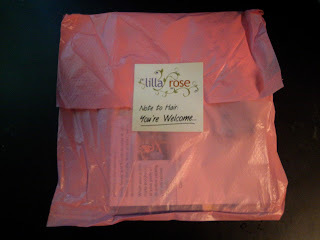 That's why I was glad when I discovered Lilla Rose, a company that creates beautiful hair jewelry and clips! 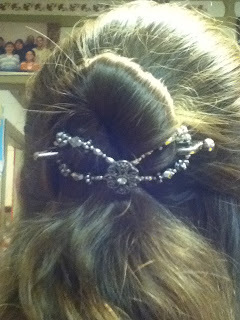 I love that my Princess Tiara Flexi Clip helps me add effortless style no matter how I wear my hair. The clip is holding up well, after constant use and wear, so I can speak for the quality of this piece as well. Check out Lilla Rose today, and add some jewelry to your hair! Disclaimer: I was not monetarily compensated in any way for this review; I did receive product for the purpose of review. All thoughts and opinions are mine; all quotes taken from the Lilla Rose website. I was not required to post favorably about the product or company. Sometimes you just need a little pick-me-up. For me, my go-to refreshment isn't a favorite snack, it's good music. Whether it's a recent disappointment, trial, or just a rough day, it all fades away when you turn on Gospel music! And speaking of Gospel music; my personal favorite is the classic quartet singing. The Inspirations Quartet recently released their newest cd, It's In The Savior's Hands, and the first song on that album is the perfect way to start off your week. 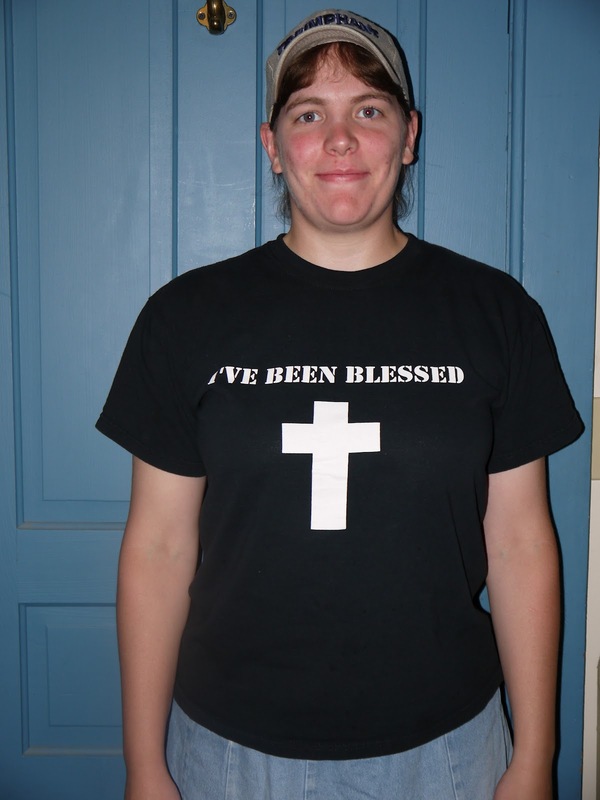 A clean, easy-listening quartet song that talks about how Christ is always with the believer. You can purchase the song from Crossroads Music, or check out this video. Fun Healthy Snacking With Poptillas-Giveaway!! Do you like to snack, but have a hard time finding a healthy way to enjoy? One of my favorite snacks ever is tortilla chips with salsa, and I recently found a way to make this snack healthier! Poptillas are made with whole grain, that is popped to retain a light crispy texture, yet losing the extra fat content that comes with cooking chips in the normal manner. As with many "healthier" versions of popular snacks, I was a little wary, not ready to take their word for it that these would be tasty. I opened the Nacho Cheese flavor right away, and was quite impressed! 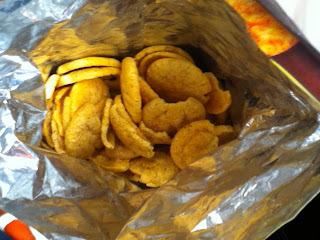 They have a slight texture difference-it's almost like a crunch with a little more substance, but I actually like it. And they taste delicious! I couldn't stop snacking after my first taste, and it took some great self control to finally close up the bag. The Nacho Cheese Poptillas have the perfect amount of cheesy taste with a hint of spicy, for a wonderful, crunchy snack. I though the Salsa Verde would be more my sister's flavor, since I'm not a huge fan of spicy, but to my surprise, I enjoyed these as well. While they do have a nice, bold kick, it's not enough to keep me from enjoying them! Of course, as I am a chips-and-salsa fan, I was pretty sure I'd like the Yellow Corn variety of Poptillas. Sure enough, they are delicious, and perfect for pairing with your favorite salsa. They also have a nice little ridge that makes for easy scooping :) I like being able to enjoy my favorite snack guilt-free, so it's a win-win situation! One of my readers will receive a sampler of Poptillas! Decorate Your Home with Canvas Art from Gallery Direct! Each time I visit Gallery Direct to choose a new piece, I end up spending waaay more time than expected! It's so easy to get caught up in the beautiful paintings and unique photos on the site. And, even once you choose the print you;d like, you can spend endless minutes choosing a frame, and weighing the merits of canvas vs. a mirror print. Basically, Gallery Direct is a home decor superstore! So, after my typical hemming, hawing and general unsurety (is that a word?) 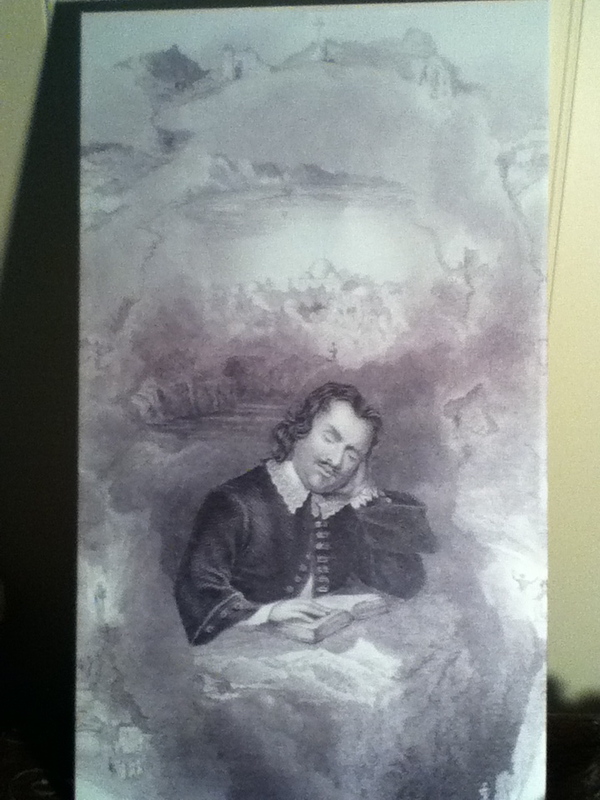 I settled on a nice print called Bunyan's Dream. Growing up, my favorite book was The Pilgrim's Progress by John Bunyan (still happens to be in my top-5 favorites). So when I saw this print, I knew I had to have it! With a picture of John Bunyan in the foreground, and images from Pilgrim's Progress in the background, this is beautiful! Of course the Celestial City sits at the top, with various places Pilgrim passes on his journey scattered throughout. The Cross, the valley of humiliation, the city of destruction...it's all here, in a beautiful setting! I chose the print in a gallery wrap canvas style, as it seemed to fit the picture. As always, the print came in ready to hang, and in perfect shape. Once again, Gallery Direct has proved their top-notch rating. If you want to decorate your home with beautiful art, you can't go wrong with Gallery Direct! Help Prevent Hip Dysplasia with HALO SleepSack-Giveaway!! Okay, so I am aware of hip dysplasia in children, but I had no idea it was such a common issue. Did you know that hip dysplasia affects thousands of infants every year? I didn't until just recently, when I came across this Q&A article with Dr. Charles Price, a pediatric orthopedist. Before I get to the giveaway, let me share this important information with you-and please, take the time to read it, rather than just skipping down to the entry form! Nothing is more important than the health of your child! Q: My friend just told me her baby has Hip Dysplasia. A:Hip Dysplasia occurs when children are born with the hip out of the socket or when the bones of the hip joint are not aligned correctly. This prevents the hip joint from functioning properly, thus causing the joint to wear out much faster. When babies are checked for the condition at birth about 2-3 babies per 1000 will require treatment, making it the most common newborn condition. Q: Can Hip Dysplasia be prevented? What can be done? A: The earlier hip dysplasia is detected, the easier it is to correct without surgery. Orthopedists have recently discovered a connection between hip dysplasia and tight swaddling. Swaddling an infant has many positive effects, but unfortunately many parents are taught to swaddle the baby's entire body to create a tight cocoon. The restriction of movement in the lower half of the body can lead to post-natal hip dysplasia. Q: How does undetected hip dysplasia manifest itself later in life? A: Hip Dysplasia can be a "silent" condition meaning that pain is not normally felt until much later in life. Undetected or "hidden" hip dysplasia is the most common cause of hip arthritis in young women under the age of 50. It also accounts for about 10% of all total hip replacements in the U.S. each year, or approximately 35,000 from hip dysplasia. A: For additional information on hip dysplasia, including safe swaddle tips and how to recognize the condition in your child, visit www.hipdysplasia.org. In conjunction with learning about hip dysplasia and how it affects babies, I was sent a HALO SleepSack Swaddle for review. These nifty little products are "hip healthy", and a great way to help prevent hip dysplasia in your precious little one. Basically, the Swaddle is a blanket that your baby wears. Rather than having loose blankets tossed in the crib, carseat or cradle, you can swaddle your baby-thus the hip healthy aspect. 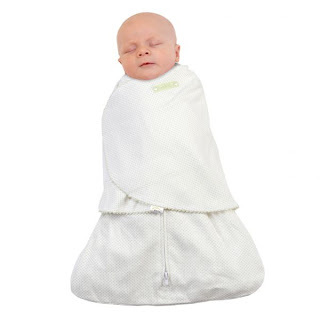 The SleepSack Swaddle is extremely soft, and comfortable for baby. It's sleeveless, but has wing-type pieces that wrap around baby for an arms-in style, or wrap underneath if your little one prefers to move around. One thing I immediately noticed (and really like) is that the zipper is inverted, so you can open the blanket for easy diaper change access! The SleepSack Swaddle comes in a variety of colors and prints for boy, girl, or gender-neutral. 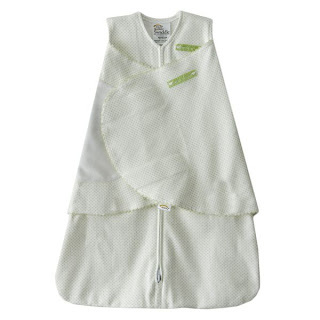 One of my readers will receive a HALO SleepSack Swaddle for Newborn!! Julie France High Waist Slip Shaper-Review and Giveaway! Well, I have officially found my favorite piece of shapewear that I've ever worn. I was given the opportunity to choose a piece for review from Julie France, and requested the High Waist Slip Shaper. I've never tried a slip shaper before, so I was a little curious as to the fit and comfort. When the package arrived, I wasted no time in finding out! The slip is completely seamless, and made of spandex and polyamide for a comfortable fit. There are several compression areas that provide firming for specific trouble areas (the tummy, thighs, etc.). The slip also comes with removable straps so you can attach it to your bra if you want. However, I wore this for a full day without the straps, and the slip didn't roll or slide at all. It's perfect! This is wonderful for getting a slimmer look under dresses or skirts. The fabric is very lightweight, so even if you're attending an outdoor event, you can wear it without worrying about the heat. I have to say, this little piece will be in constant use! Julie France has created a real winner with the High Waist Slip Shaper! "Established in 2007, Tolbert Yilmaz Manufacturing and Eurotard Dancewear partnered with designer Guillermo Job to establish Julie France Body Shapers, a shapewear solution for women. Julie France Body Shapers are constructed using a breathable, moisture-wicking microfiber that remains invisible under any outfit. Seamless and lightweight, these body shapers work with the body’s muscular structure to apply the appropriate amount of compression on each major muscle group. Engineered using innovate, three-dimensional technology to form zone-specific contouring panels, Julie France Body Shapers camouflage imperfections and shapes the body without creating lines or bulges." One of my readers will receive a High Waist Slip Shaper! Okay, so I've missed quite a few installations in Music For Mondays, I know! I can't remember ever having a busier summer. Trying to keep up with reviews and giveaways has been hard enough, let alone my "extra" posts! Anyways, I am officially restarting this series, because I enjoy it, and if it encourages even one of my readers, it's worth it. Today's featured song is a new one called Worthy The Lamb Is He, sung by Soul'd Out Quartet. This is a flat out praise song (not the style, but the lyrics). Rarely does a song catch my attention like this one did. Many songs include words that praise the Lord, but this entire song is nothing but worship and adoration! If your week is starting out bad, or you just need an encouraging touch, then I suggest you listen to Worthy The Lamb Is He. It will help you realize how blessed we truly are, and help you praise the Lord no matter what your circumstances! Worthy the Lamb is He"
You can download this song (or purchase the entire album, What The World Doesn't Know), at Crossroads Music! Bright Ideas With AstroBrights Paper! Have you ever heard of AstroBrights papers? I have to confess, I had never heard of it until recently, but now that I have-wow, all the fun ideas you can come up with using AstroBrights! Quite simply, AstroBrights Paper is the most unique paper ever-it comes in 23 bold colors, and can be used for everything from crafts to scrapbooking to school projects to flyers to chore charts...the possibilities are endless! What makes AstroBrights so unique is of course the color, because they help your project stand out. Imagine, a scrapbook page filled with summer vacation memories on a plain old sheet of scrapbook paper. Doesn't sound real appealing, does it? But how about those memories standing out on, say, a sheet of AtsroBrights Fireball Fuschia or Gamma Green? Now that's a page of memories you'll enjoy seeing over and over! Of course, I'm not writing this just to introduce all my readers to AstroBrights-although the paper is neat enough to warrant such a post! However, I also wanted to share about the Give A Brighter Year sweepstakes that AstroBrights is running right now! Entry is easy, and you can win a cash prize, and school supplies valued at $30,000 for the school of your choice! Check it out; this sounds like a great way to get some new supplies for your local school. AstroBrights is also featuring a fun family activity called "Make Something AstroBright". Just like it sounds, this is a great way for families to get involved in a creative project together. You might want to participate; this is the perfect way to spend your summer! If you need ideas, or want to share a crafty idea of your own, you can find AstroBrights on Pinterest, Facebook, and Twitter! If you share an idea, be sure to use the #goastrobrights hashtag so other families can see it. Get crafting with AstroBrights today! Stargazer's Guide To The Night Sky-Amazing Book! I recently had the opportunity to read an amazing book, The Stargazers Guide to The Night Sky. This book is written by Dr. Jason Lisle, an astronomer that I have actually met a few times. I've read all of Dr. Lisle's books, and this is a beautiful addition to the collection! Over 200 pages of full color photos, helpful information, and charts of the night sky. Dr. Lisle starts out with basic "Motions in the Sky"; that is, how objects in the sky move. From here, we move on to more advanced movements, astronomy with an unaided eye, celestial events, and information about various telescopes, star classification, and some more details about the sun, moon and planets. Basically, if you're a complete beginner, you'll walk away from this book with a good knowledge of the night sky, and how best to enjoy it's beauty. On the other hand, if you're an experienced astronomer, you will still enjoy the information, details, and gorgeous pictures! I thoroughly enjoyed the entire book, but I did find the chapter on Deep Sky objects especially interesting. Learning about and seeing pictures of star clusters that are so far away is absolutely fascinating! Stargazer's Guide To The Night Sky would make a perfect book for homeschoolers, budding or experienced astronomers, or anyone who just wants to learn more about the night sky. 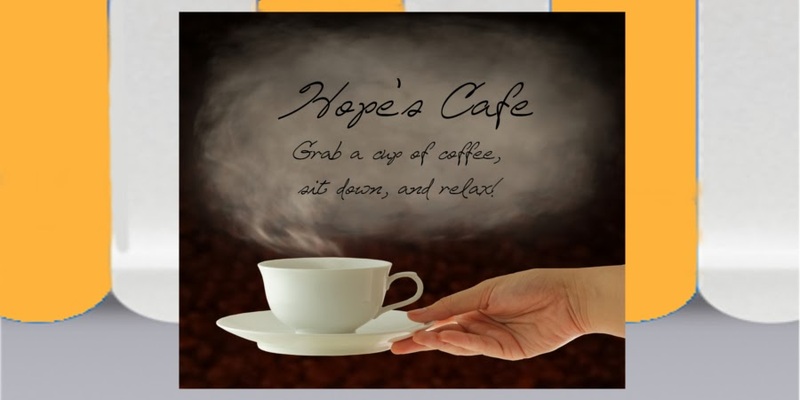 You can purchase the book online from New Leaf Publishing Group! One of my favorite category of products to try is hair care and styling. Seriously, I will never get tired of finding amazing new hair products! 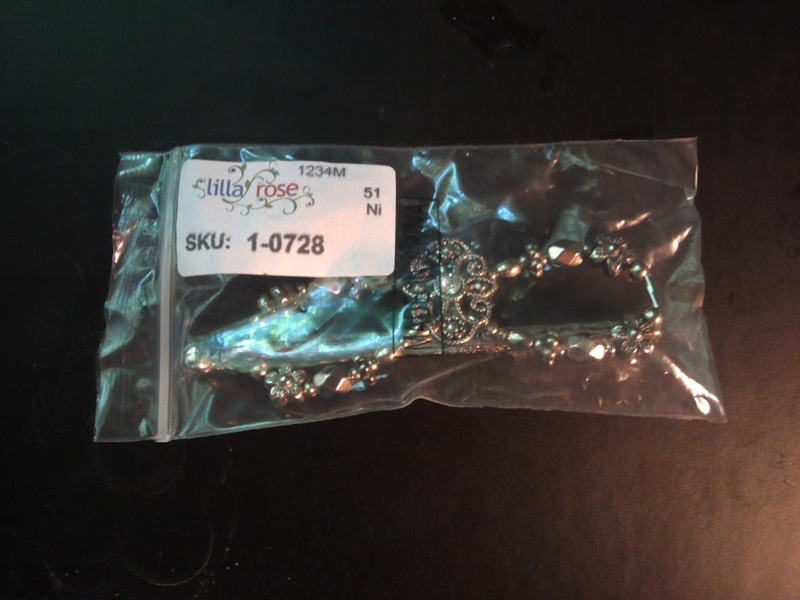 I received a sampling of products from Shielo, a company that specializes in hair care. My package of goodies included the Antioxidant Leave-In Protectant, Volume Bounce Style Creme, and Flexible Design Hair Spray. 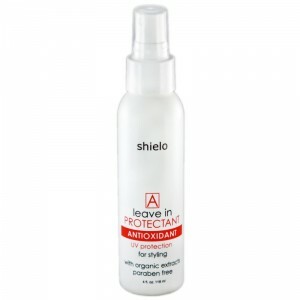 Finding a good leave-in spray can be difficult, but after using Shielo's Antioxidant Leave-In, I now know where to direct any friends who ask! This is a lightweight yet rich spray that really improves your hair's health! I spray this in after letting my hair air dry for a few minutes, and it provides many benefits. I noticed much less frizz and static than normal after using this spray, for one. Additionally, it protects hair from UV rays (perfect for summer, as I'm outdoors A LOT), and best of all, infuses your hair with vitamins, proteins and pro-vitamins for a healthier, sleeker look! The Volume Bounce Style Creme is a nice way to style my hair without leaving it flaky, greasy or stiff. A little bit goes a long way, and I love that this moisturizes while styling. I have pretty dry hair, so any additional moisture is appreciated, especially when it comes in the form of a styling cream! This creme provides hair with texture definition, and the ability for your hair to move naturally while retaining the style you desire. For example, I like my wavy/curly hair to look natural, not like a stiff set. This does just that! 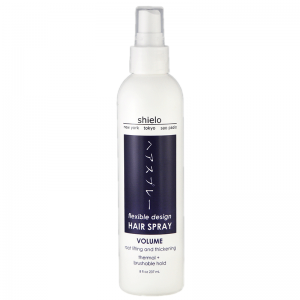 Check out these and other great hair care products at Shielo today! Disclaimer: I was not monetarily compensated in any way for this review; I did receive product for the purpose of review. All thoughts and opinions are mine; all quotes taken from the Shielo website. I was not required to post favorably about the product or company. Kushyfoot Flats To Go Review!! Have you ever felt the need to slip out of your heels and into something a little more comfortable? After a long day on your feet, putting on a comfy pair of shoes can make all the difference! Although I don't wear heels very often, I do sometimes get achy feet after a day in my dress shoes. For example, after Church on Sunday, sometimes we'll do some grocery shopping, have lunch out...and we end up spending several hours walking around, while I'm still in dress shoes. So, I was excited when I received a pair of Kushyfoot Flats To Go for review! The idea behind Kushyfoot Flats to Go is simple; a soft, comfortable shoe that you can roll up and slip into your purse. That way when you're done at Church or some event where you're on your feet in heels, you can change into a comfortable yet stylish pair of flats! These are extremely comfy (I know I'm overusing that word, but it's the best way to describe these!). The flats feature an elastic back so it stretches to fit your foot. These Flats To Go also have a unique sole that actually massages your feet as you walk. Perfect for relief from shoes that are too tight, and cramp your feet! I have never worn a more comfortable pair of shoes! I also like that they can go with a dressy outfit, or pair with denim and tee for a casual look. My package also came with a pair of Kushyfoot Microfiber Socks, and I was very pleased with these as well. Again, these feature the Kushyfoot signature wavy sole, that gives your feet a relaxing massage with each step. I like pairing these with my dress shoes, as it provides some relief from any aching, and then, of course, they look great with the Flats To Go that I slip into as soon as possible! Check out Kushyfoot for yourself-your feet will thank you! Disclaimer: I was not monetarily compensated in any way for this review; I did receive product for the purpose of review. All thoughts and opinions are mine; all quotes taken from the Kushyfoot website. I was not required to post favorably about the product or company. Nutrisystem Giveaway!! Win Weight Loss with Nutrisystem! Hey everyone, I am hyped about this! I never feature products unless I'm personally impressed with them, but I am so excited to be able to share this special giveaway with all of you. After being on Nutrisystem for 4 months (1/3 of a year :) I can honestly say that this gives you results! Sooo, I was thrilled when offered the opportunity to let one of my readers try Nutrisystem for themselves. "Here at Nutrisystem, our mission is to provide a weight loss program based on quality foods and a nutritionally balanced meal plan; individualized counseling is the core of our commitment that customers always have the privacy, support and knowledge needed to reach their goal weight. Nutrisystem now stands as a constant pillar of support and information for those looking to lose weight in a busy world. As an Internet force, its wide-ranging web content, combined with its knowledgeable and well-trained counselors, equals a powerful resource for all dieting consumers. Nutrisystem believes in its clients and is there to help them, every step of the way. Together with its growing online member community, Nutrisystem makes weight loss-and the goal of becoming healthy and fit-a reality for millions." So, without further ado, let's start the giveaway! One of my readers will receive 10 days of Nutrisystem Select!! This features Nutrisystem's Fresh Frozen Meals, a welcome kit, NEW protein drinks, and shaker bottle. Everything you need for 10 days of healthy eating and weight loss! Let's discuss summer fashion. As you may already know, my favorite summer wear usually includes a maxi skirt, and a lightweight, cotton shirt. But what about footwear? I have to admit, I used to not wear sandals at all. My only concession to summer was wearing sneakers with mesh uppers. A couple years ago though, I tried on a pair of sandals, and realized how foolish it was to miss out on the cool comfort they provided. I actually need to shop for a new pair, because all I have right now are some sandals I picked up at a local department store...they work, but I'd like something a little more fashionable. 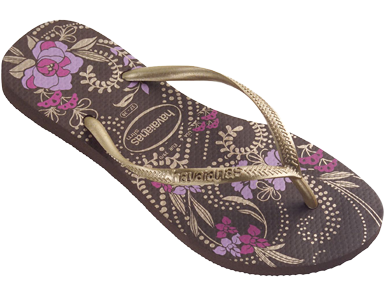 I've been researching online, and one company I found that offers some really stylish sandals is us.havaianas.com. Havaianas has some really great sandals, but after browsing the womens sandals here, it didn't take long for me to find my favorite pair. Check out these Slim Season sandals-aren't they perfect?! I would so love to match these with a chocolate brown maxi skirt and a pink top, for a stylish, cool summer outfit! I also took some time to research the Havaianas company. I have of course heard of Havaianas before, but I never realized just how popular they are. Did you know that Havaianas sandals were born back in 1962? Styled after the Zori, typical Japanese sandals, the Havaianas have increased in popularity ever since. You can always tell Havaianas by the textured rice pattern on the foot bed, as a nod to their Japanese inspiration! Did you know these sandals are so popular you can even find Havaianas on Pinterest? No, really! Whether you want to check out ideas for incorporating Havaianas sandals into your wedding, or just need a new summer fashion statement, you can find all kinds of Havaianas ideas on Pinterest! Celebrate National French Fry Day at Wendy's!! Did you know that tomorrow is National French Fry Day? I actually just learned about it a few days ago, but hey- any excuse to eat some hot, salty french fries is good for me! One of my favorite places to get fries is Wendy's, so i found this article very interesting. Oh, and by the way- I am a dipster. I love dipping french fries into a cold chocolate Frosty! "Are you or anyone in your family a dipster? In honor of National French Fry Day on July 13, Wendy’s examined the growing phenomenon of dipsters, those who dip their fries into a Wendy’s Frosty. Yummm! The combination of the sweet cold Wendy’s Frosty and sea salt hot French fries trend is on the rise—in fact, a recent national survey* revealed that 1 in 3 Americans (33%) have dipped a French fry into a Wendy’s Frosty. And more than 263,000 people online are talking about this! 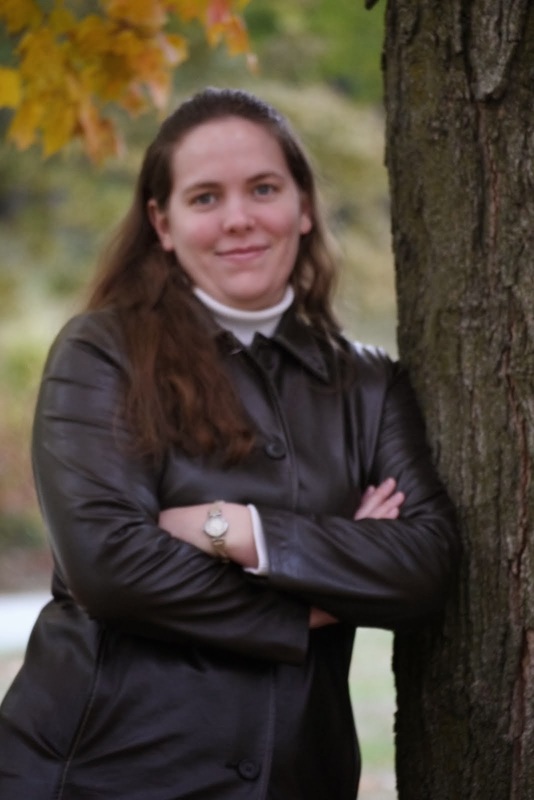 · Dipsters are typically young and hip! Two times as many 18 – 34-year-olds dip their French fries in a Wendy’s Frosty versus 45 – 64-year-olds. · Families have jumped on the dipster wagon—nearly one of every two families (47%) have plunged their fry into a Frosty. · Women are as likely to dip their fry into a Wendy’s Frosty as more traditional condiments like mustard, while 18 – 24-year-olds are more than twice as likely to dip their fry into a Wendy’s Frosty versus mustard, mayo or vinegar. (*based on survey of 1,000 Americans via Omnibus on July 4, 2012)"
What about you-are you a dipster? If not, try it out tomorrow-you won't regret it! Rudi's Organic Bakery Review and Giveaway!! I have to tell you, I am officially a fan of Rudi's Organic Bakery! As most of you know, I have been changing my eating habits over the past few months, and that includes more whole grains. 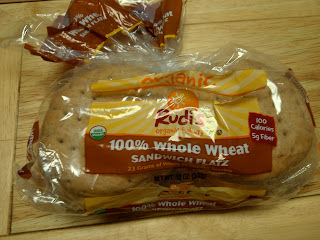 So when I was given the opportunity to try some of Rudi's new Sandwich Flatz, I jumped at it! I received 2 coupons to sample these new products, and was able to find them at a local grocery store. 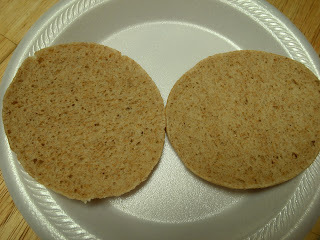 I opted for both varieties of the Sandwich Flatz; Multigrain, and 100% Whole Wheat. Once I tried the Multigrain Flatz, however, I knew I had discovered my favorite new "sandwich bread"! The multigrain Flatz pack 24 grams of whole grains, and 5 grams of fiber per Flat, but only 110 calories! The best part, though, is the seeds and grains scattered throughout the bread. They add a nice, nutty texture, and a whole other dimension of taste! 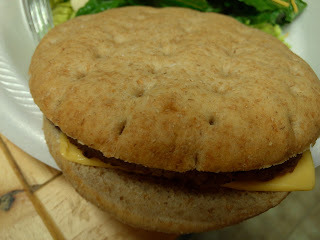 These are certainly my favorite, and have become my go-to for sandwiches, burgers, etc. 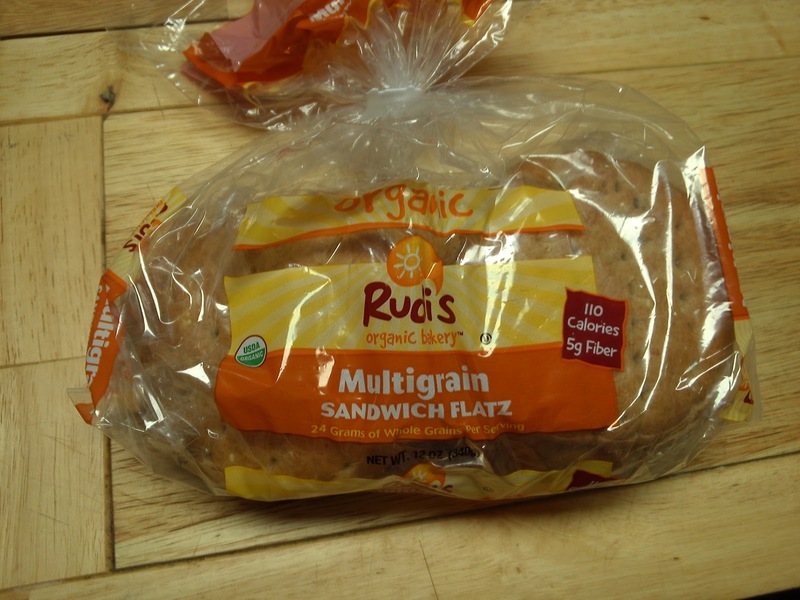 Whether it's a peanut-butter-and-jelly sandwich for lunch, or a chicken sandwich for dinner, I'm constantly reaching for Rudi's Multigrain Flatz! I was also excited to learn about Rudi's and their passion for making school lunches healthier. "Have you ever wanted to help change our kids’ school lunch programs for the better? Well, now you can by simply voting for change. Check out the amazing artwork submitted by our awesome Rudi’s Organic Bakery fans on our Let’s Doodle Lunch sandwich box art contest application on Facebook. The first time you click to vote for your favorite artwork, you’ll get a $0.75 coupon for any Rudi’s Organic product, and spread a little sunshine since Rudi’s will donate $1 to The Lunch Box, an organization dedicated to transitioning schools nationwide from processed foods to healthy, made-from-scratch meals." Sounds great, huh? And you can help! 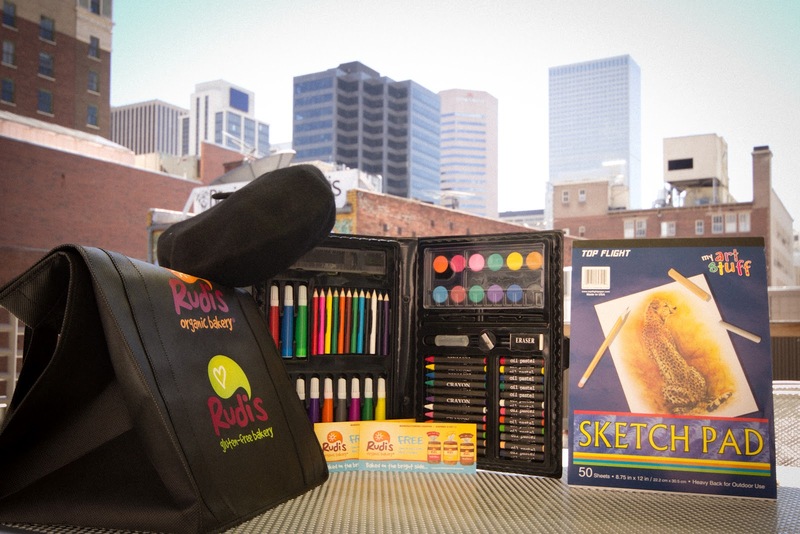 To encourage participation, Rudi's is offering an Art Kit to one of my readers! Are you looking for the perfect gift for someone? A get-well gift, a birthday gift, or maybe a just-because gift? Then you need a Personalized Teddy Bear! I was given the opportunity to choose a bear for review from Huggable Teddy Bears. It took some time to decide on a bear, because they have so many cuties! I finally chose the Doctor Be Well Bear, which comes outfitted in blue scrubs. He is sooo cute! When the teddy arrived, I was glad to see that the picture represented him perfectly. The good doctor stands about 11 inches high, and has very soft, wavy fur. His outfit is standard scrubs, including a hat and mask. The overall picture is adorable, and while it's great for any occasion, this would seriously make the perfect get well gift! Whether it's a simple cold that you're child is fighting, or a friend with an illness, this bear is sure to lighten their mood and provide some comfort! Our Dr. Bear, however, has joined my Mom's collection of teddies. She loves bears of all sorts, and she wasted no time in adding this cute little doc! 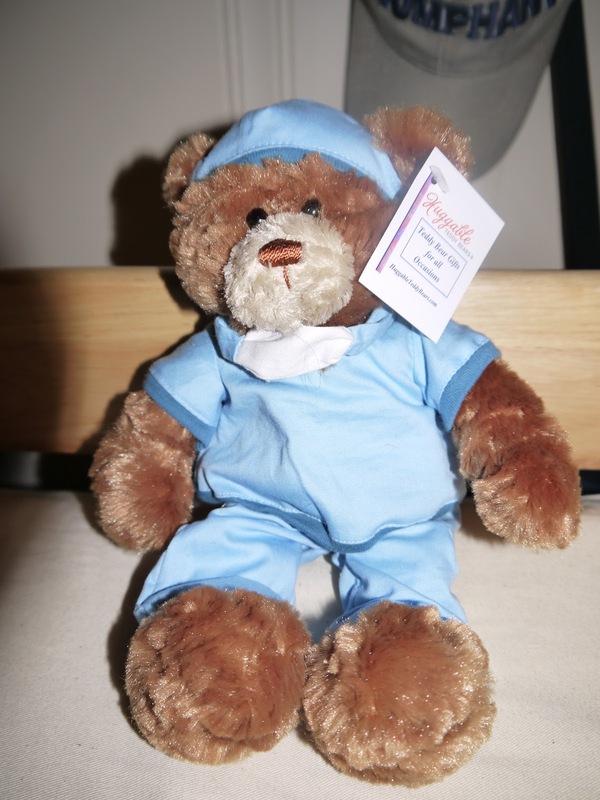 Check out Personalized Teddy Bears today; you'll find a gift for any occasion! "HuggableTeddyBears.com is the brainchild of Robert and Brian. Their goal is to have a little fun and put a smile on the face of your loved ones. Thank you for taking the time to get to know us. We look forward to playing a small part in the special occasions of your life with these cuddly, huggable gifts, personalized to make them memorable." Disclaimer: I was not monetarily compensated in any way for this review; I did receive product for the purpose of review. All thoughts and opinions are mine; all quotes taken from the Huggable Teddy Bears website. I was not required to post favorably about the product or company. Well, I did it. I completed a full 16 weeks of Nutrisystem! I am super excited about staying with a healthy diet for a full 4 months, and I'm excited about continuing to eat healthy. The last week I stayed strictly by the diet. Not that I splurged much anyways, but this past week I was completely "by the book". And, I actually gained 4 ounces (not sure how, but hey, I'm still happy with my results). So, for anyone who has followed my 16-week journey on Nutrisystem, here are the final results. 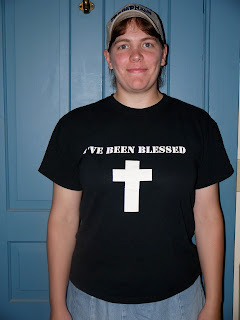 I lost a total of 12.1 pounds (would have been 12.5 pounds, except for those 4 ounces I gained back this week!). 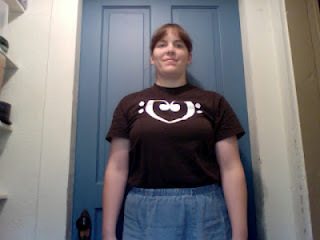 I also dropped a total of 10 inches, including 4 inches just from my waist! Needless to say, I am thrilled about that! Now, I have 2 main goals. 1, don't gain any of the weight back! I like that since my weight loss was a slow-but-steady journey, hopefully it will be easier to keep off. I'd like to continue losing though, and reach my goal weight (I'm just under 8 pounds away from that goal). With the guidelines I've learned from Nutrisystem, I am confident that eating properly will be easier than it was in the past. Thanks Nutrisystem! PS-I'll be hosting a Nutrisystem giveaway soon, so keep an eye out. This is a chance you don't want to miss! Want to join me in losing weight and improving your health with Nutrisystem? There's no need to wait! Join today by calling 1-888-853-4689 or visit www.nutrisystem.com/nsblog! Disclaimer: I was not monetarily compensated in any way for this post. I did receive free Nutrisystem product for the purpose of review. All thoughts and opinions are mine. I am not required to post favorably about the product or company. Traveling Days-Deuter KangaKid Carrier Review!! 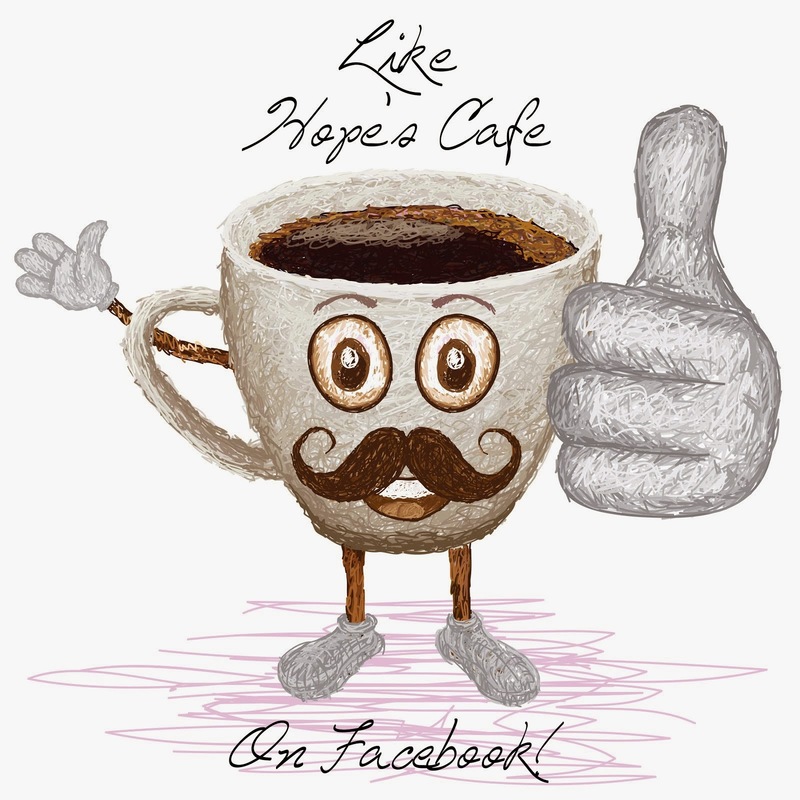 Many of you may remember last year when I featured a fabulous kid carrier from Deuter on Hope's Cafe. I totally love that carrier, and have never seen one so well made or durable. However, when it comes to family vacation or a road trip, our vehicle is usually packed. I mean loaded! So finding room for the carrier can sometimes be a hassle. So, when I learned about the KangaKid from Deuter, I knew this was the perfect piece to showcase in Traveling Days! The KangaKid is really and ingenious piece. When I opened it, I was surprised to see that it really looks like just a backpack (albeit a very well-made backpack). Don't be fooled though. Simply open the yellow zippers, and you have...a kid carrier! Awesome, huh?! I am totally in love with the KangaKid; it is the ultimate 2-in-1 backpack/kid carrier! Now you can carry your youngster and some snacks, small toys or books, etc. at the same time! There is a large compartment, as well as several smaller pockets to hold any little goodies you need to bring along. Of course, carrying a child and some extras around can be uncomfortable-if the carrier isn't designed right. Thankfully, the KangaKid is designed for comfort! I love the extra padding on the shoulder straps and "fins" that fit around the waist. As well, Deuter included some extra cushioning on the piece that rests against your back, so it won't rub or chafe there either. If you need a way to easily and comfortably tote your youngster around all day on vacation, but don't have much room, I suggest you take a look at the KangaKid-it's incredible! Disclaimer: I was not monetarily compensated in any way for this review; I did receive product for the purpose of review. All thoughts and opinions are mine; all quotes taken from the Deuter website. I was not required to post favorably about the product or company. Fashion World Sunglasses Review and Giveaway!! Traveling Days-Coby MP4 Player Review!! Natural Beauty With Tatcha-Review and Giveaway!! Win A Trip To LEGOLAND with Atlantic Luggage!